This page provides news and information relevant to Student Affairs (STUA) staff, as well as links to useful electronic tools and resources. Looking for Professional Development information? We've moved that to a new page. Click here or use the navigation on the left. Visit the staff events page for details on upcoming staff events and lunch-and-learns. Information, tools and resources for current key initiatives are available via the Key Initiatives tab in the top navigation bar. 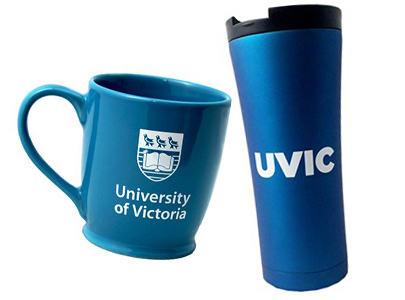 Email stuacom@uvic.ca to sign up for The STUA Voice mailing list to stay up to date on division activities. Looking to communicate with other STUA staff? Sign up for the STUA ListServe and get connected. Click on the topics below to find staff orientation information, the STUA Staff Recognition Awards and more! The Division of Student Affairs is big. With over 1500 staff in 29 units across five departments, the work of most of our colleagues is a mystery to us. Connections outside of our own team and work units aren't always easy to build but connections help all of us do our work and achieve our shared goals and vision. That's why we've introduced Coffee with a Colleague, a chance to meet up with someone you wouldn't normally see and gain perspectives on work happening across the division. Together, we transform students' lives... so let's get together! TO PARTICIPATE: sign up for one of the three sessions (summer, fall, and winter) by the deadline provided. Participants in Coffee with a Colleague will then be randomly matched with a colleague from another department in the division. Each participant will receive a voucher for a free tea or coffee from Finnerty Express Cafe at the Bookstore. Matched participants can meet up for coffee (or tea), a walk around the ring, or plan another activity that works for you both. The next round of Coffee with a Colleague will take place late Spring 2019. Information and deadlines will be shared in the STUA Voice newsletter and on this webpage. Click on the image or use this link: https://prezi.com/view/WgeYDcf294BIo7yaAfEN/ to access the Student Affairs staff orientation presentation. After you view the presentation, please use the links below to access to all of the information in the presentation including organizational charts, the STUA strategic plan and more... and welcome to Student Affairs! Have you ever seen one of your Student Affairs colleagues go above and beyond the requirements of their position in order to demonstrate the Students Affairs vision or values? The Student Affairs staff recognition program is designed to recognize and reward exemplary work being done across our units in alignment with our division values. The program is open to all Student Affairs staff including term, hourly, casual and student staff. Nominations of single individuals or teams of up to two people are accepted. Teams can be from within the same unit or individuals from two different units. If nominating a team, please include both nominees on one form and show how both their individual work and their work together demonstrates the STUA vision and values. Nominations forms can be submitted by email to stuacom@uvic.ca or in person to UVC B202 Attn: STUA Comm. Submissions will be reviewed by the Newsletter Editorial Board based on the Student Affairs vision and values and winner(s) will be announced in each edition of The STUA Voice beginning July 7, 2016. Winners will receive a STUA GiftCard valued at $20 and will be profiled in The STUA Voice, our monthly staff newsletter. Nominations are always open so next time you see someone do something great, tell us about it and they could be our next monthly winner!